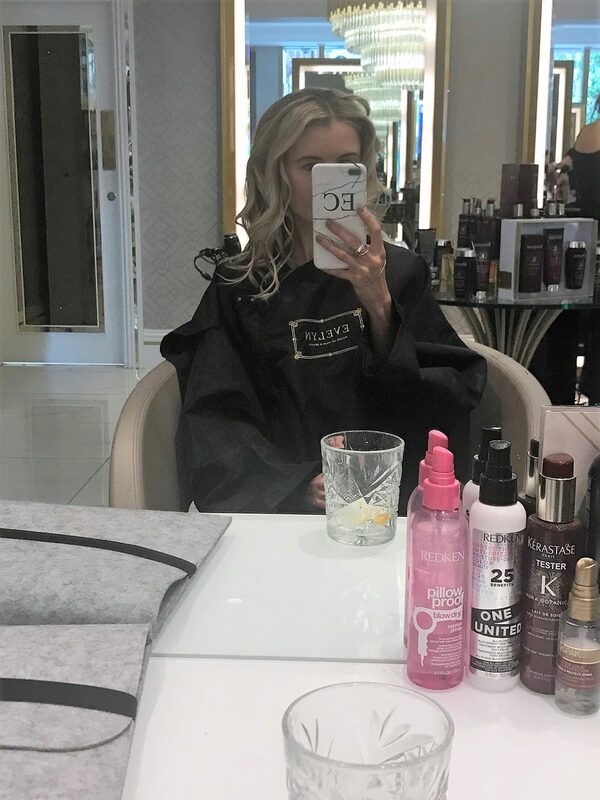 There was time when I would struggle to find beauty salons to recommend to my friends, when asked about good salons in Manchester. None used to stand out to me, with nothing particularly great to offer, no stunning interiors or any with the ‘wow’ factor. 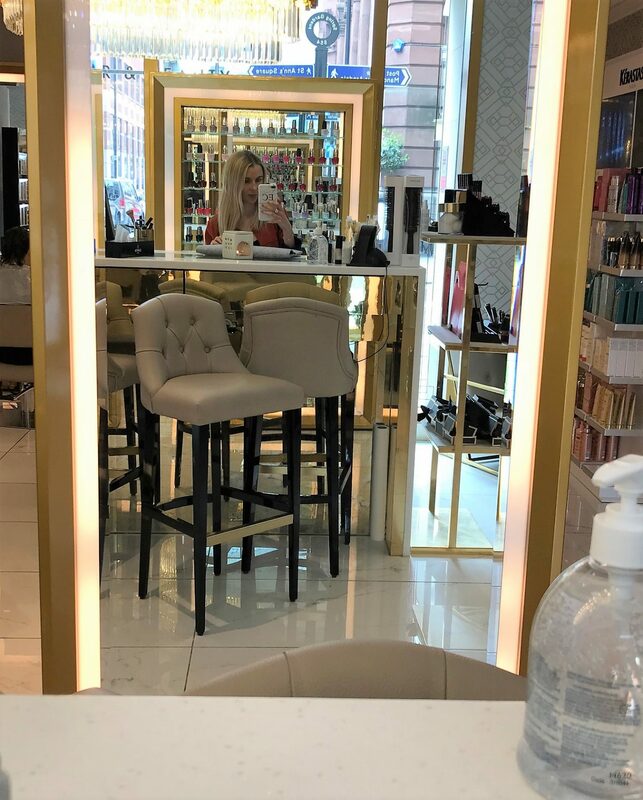 However, I’m glad to see it’s now changing, with more and more gorgeous, instagram-able salons popping up around the city. 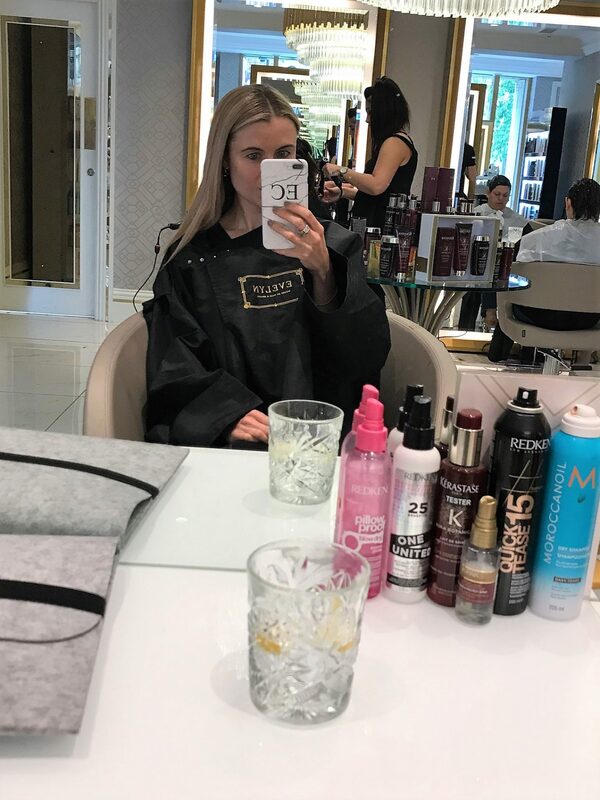 Not only are they beautiful inside, they now offer pretty much everything you need: nail services, hair styling, colouring, cutting, tanning, facials, massages, pedicures, manicures, reflexology, makeup artistry…. phew! 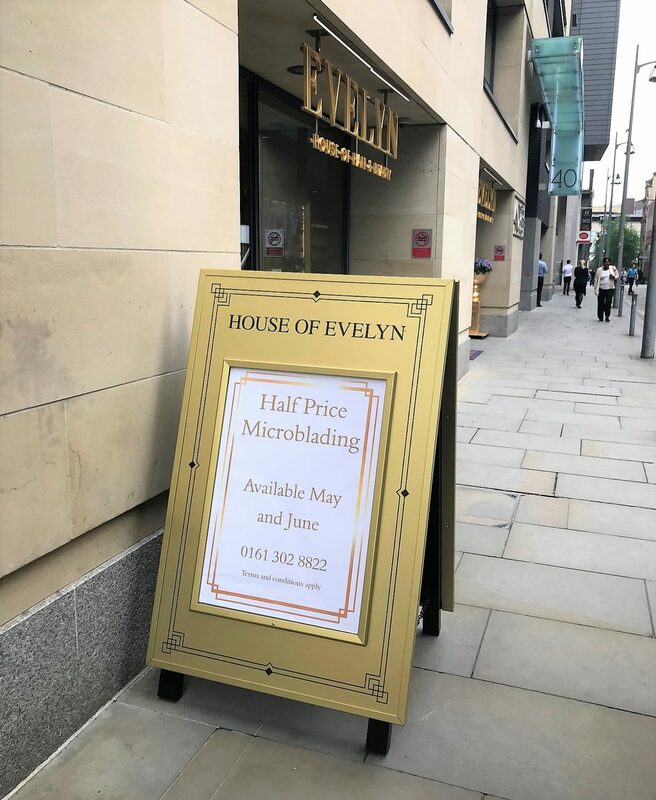 A recent one I visited was House of Evelyn, a house of all things hair and beauty situated at 40, Spring Gardens. 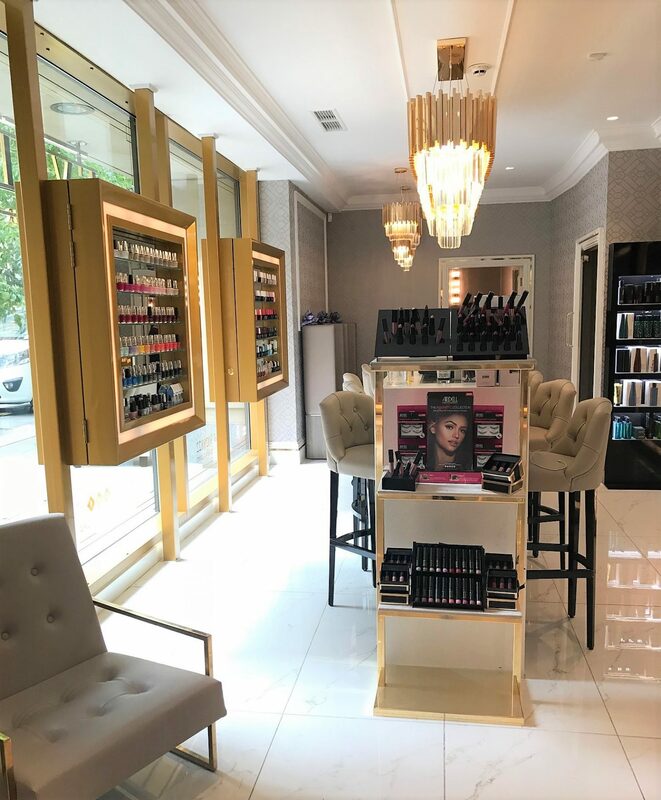 It’s located at the more affluent area, nestled in-between King Streets finest establishments, yet it’s also very close to Market Street, so it’s ideal for nipping over to when breaking off from a weekend shop. 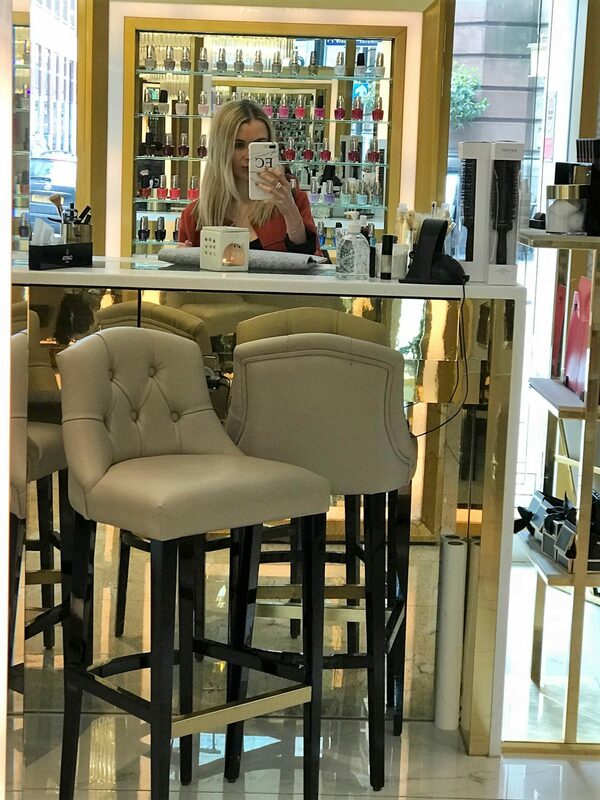 When I mentioned instagram-able salons and pretty interiors, this one is possibly the best I’ve seen. Even upon the approach, you’ll be greeted with it’s grand gold lettering and stylish decor. 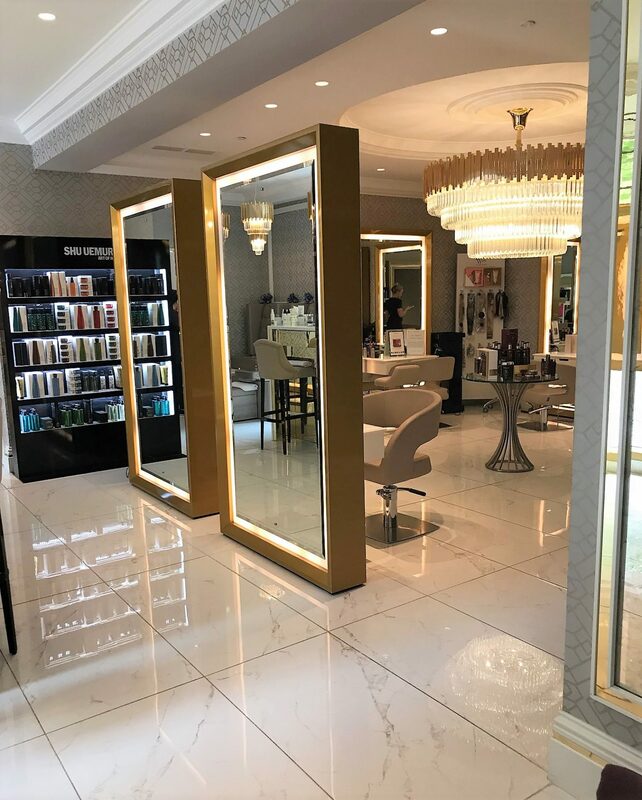 Online, they describe this place as ‘an oasis of elegance and well-being, a celebration of looking and feeling fabulous’, and you know what, I’d give them that from my first 5 minutes in the place. 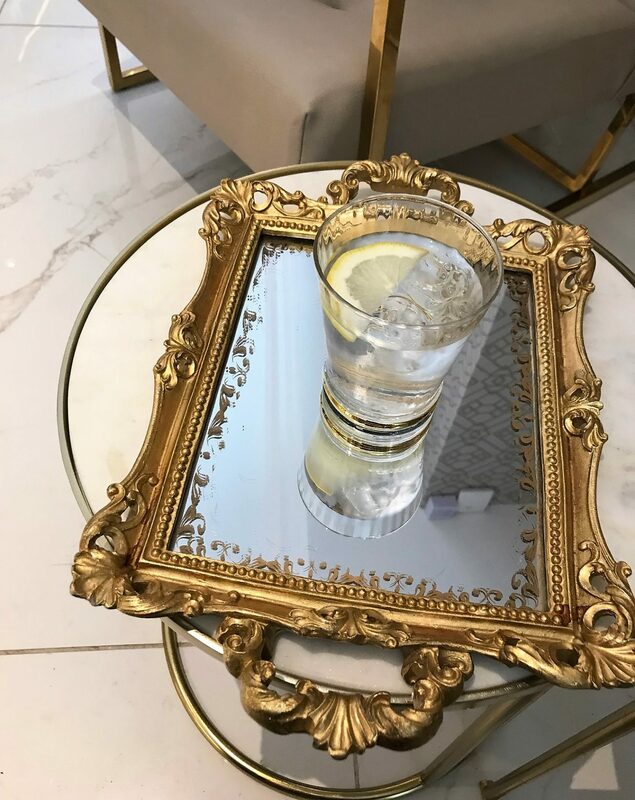 I sat in their stunning reception, and already felt uplifted just sat waiting, sipping my water which rested on a glamorous mirror. 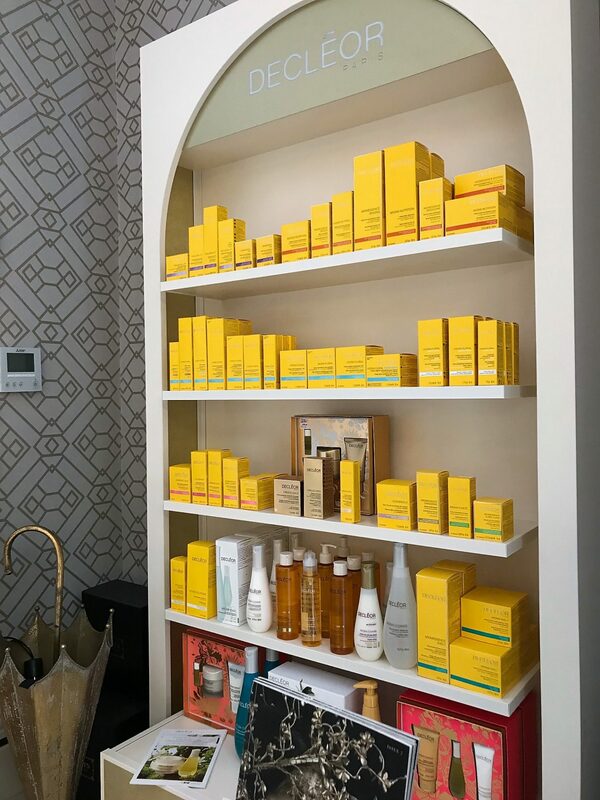 I was booked in for a luxury Decleor facial, in which the therapist took me through to the treatment room and talked me through my current skin situation, areas of concerns, and aims I wanted to achieve from my facial. It didn’t take her long to realise my skin is combination, with a lot of pigmentation and dullness, and with turning 32…. the little signs of fine lines and wrinkles (eurgh, I know…). 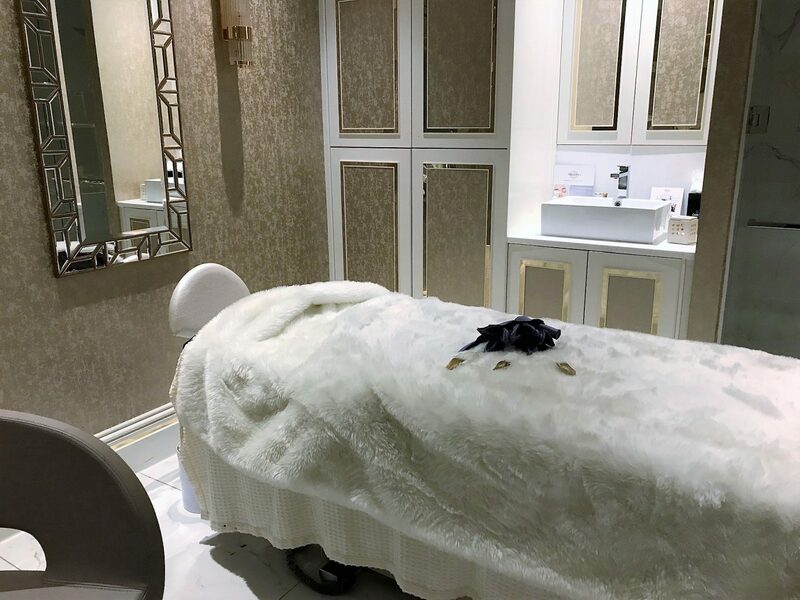 The treatment room was divine – a real luxury room, so much more lovely than others I have been into. And I feel it really matters, you know, almost as if it makes me feel more relaxed and at home if the treatment room is a gorgeous haven, with candles and scents and low lit lighting. I got myself comfy underneath the heated towels on the treatment bed, and relaxed for an hour whilst the therapist worked her magic. 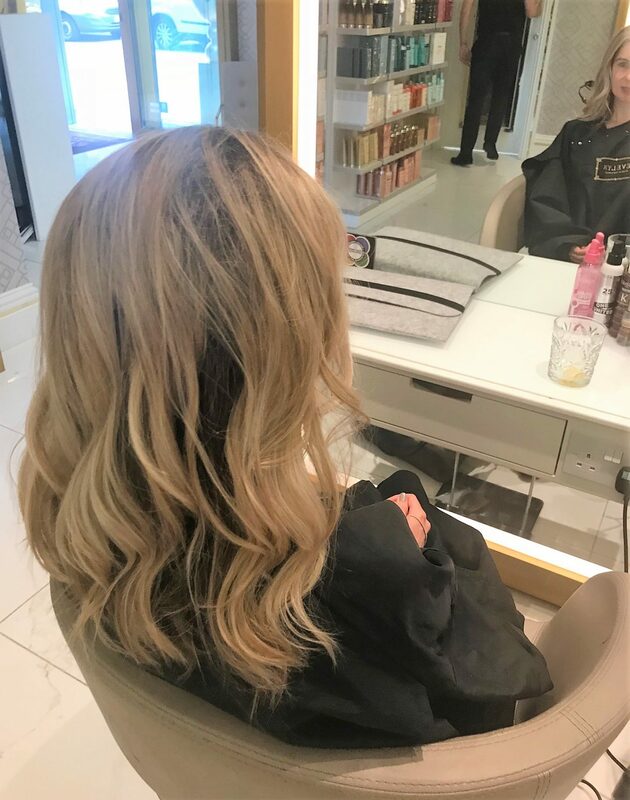 Using a range of premium Decleor products, she cleansed, toned and exfoliated before applying a moisturising sheet mask, in which the product soaked deep into my skin. 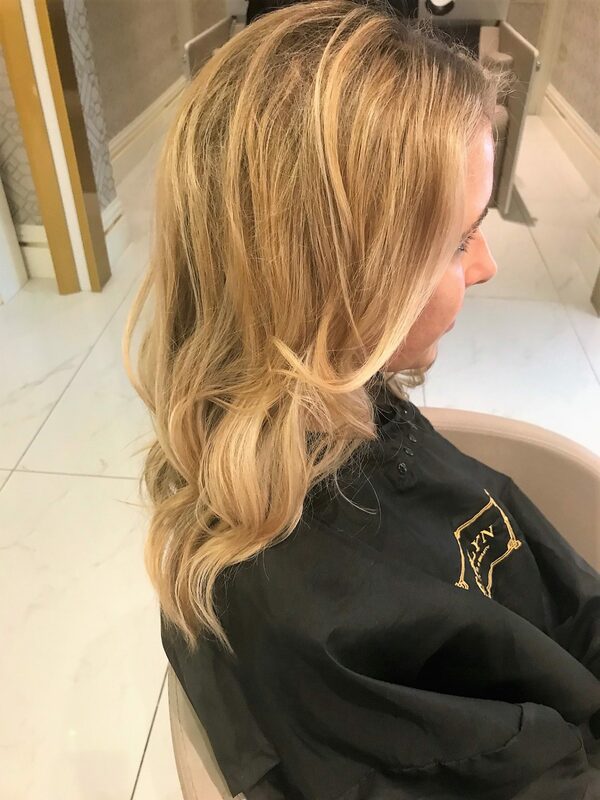 I then had all the moisturising and nourishing finishing products applied, whilst at the same time, I was treated to an incredible hand and arm massage. Ahhhh… bliss. 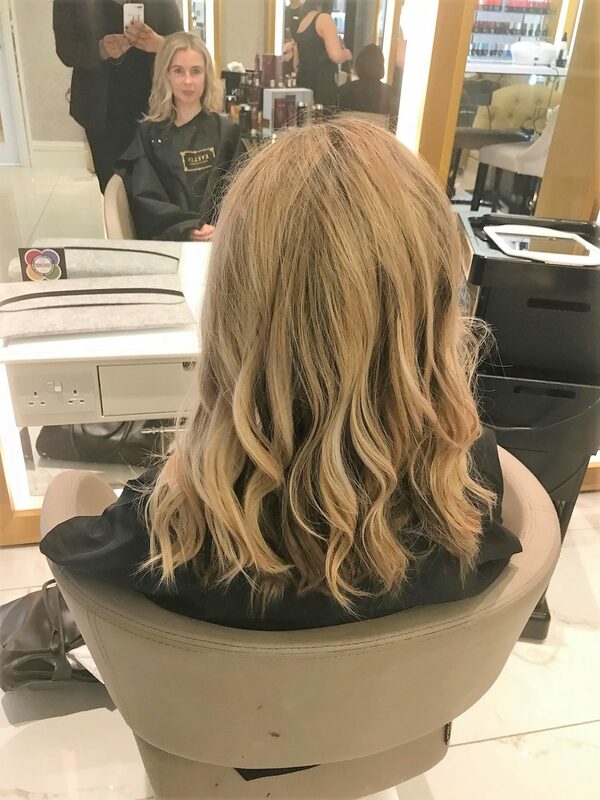 Once I was finished in the treatment room, and I now had a glowy, clear complexion, I waited at the salon reception again before heading into the hair salon part, eagerly awaiting my next session. 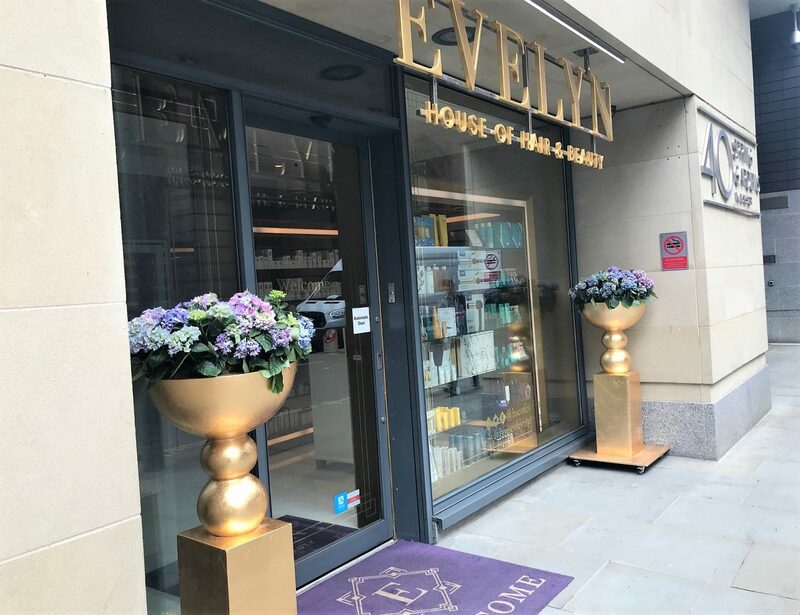 I was booked in with one of the stylists at House of Evelyn, in which I asked for a wavy hair style. 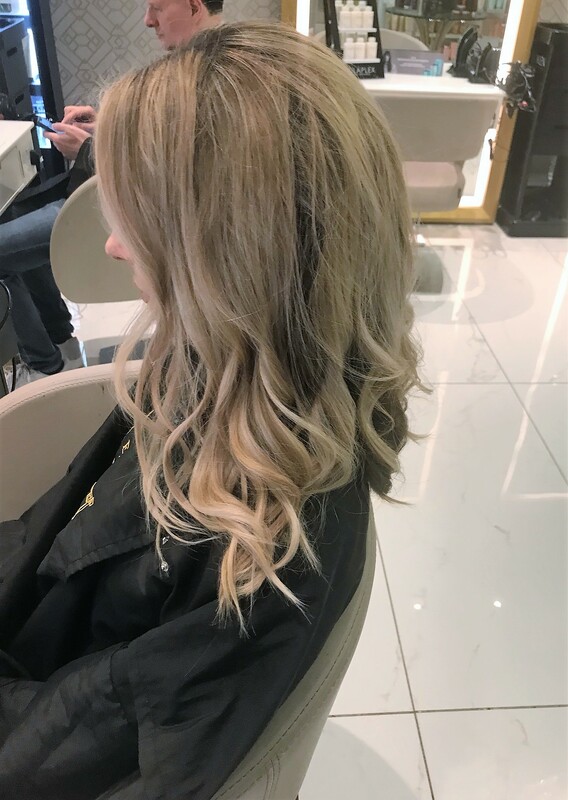 My hair is a nightmare at holding a wave, so I was really impressed with the stylist who got out a professional hair wand and worked creatively at getting a nice soft, tousled wave throughout my hair. 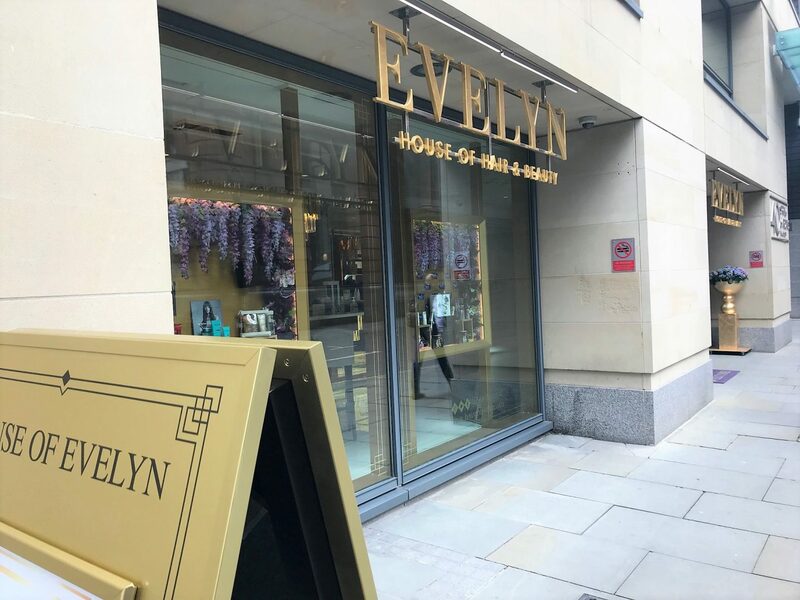 The vibe and ambience at House of Evelyn was so calm and relaxed, where all the team make you feel super special. I could have stayed in their all day and got my nails and my makeup done – if only time would allow! 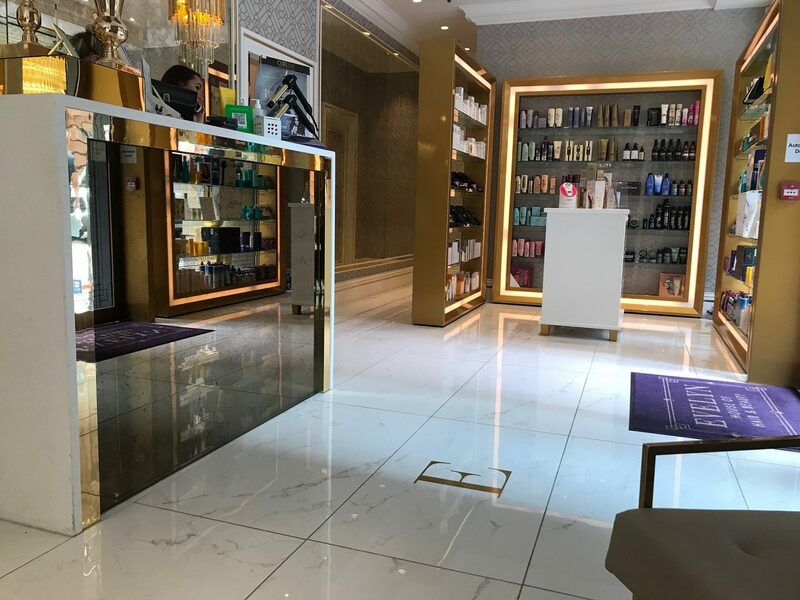 If you’re looking for a salon in Manchester which gives you that luxury experience, then this is potentially the one. 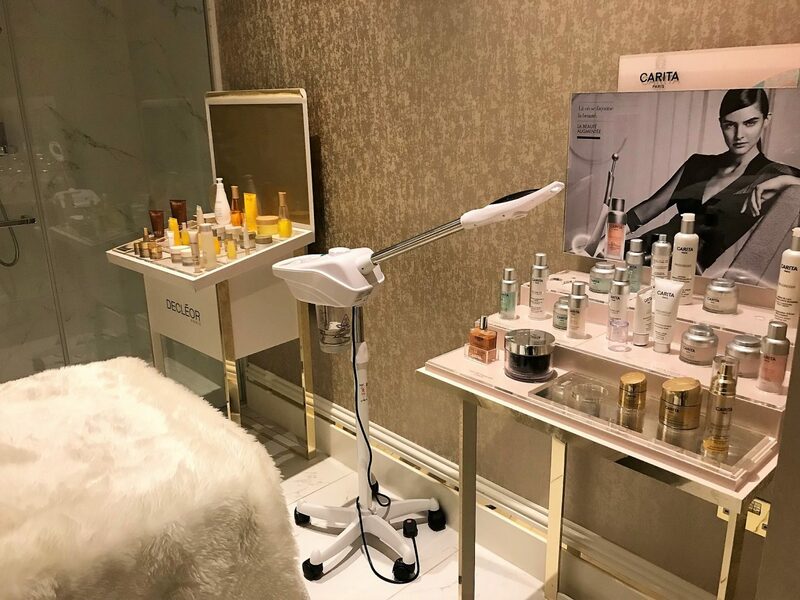 The salon is just so charming to be at, with its marble dressing tables and opulent, gilt-frame mirrored stations for both hair and makeup, and those show-stopping treatment and aesthetics rooms for facials, massages, and treatments such as Botox®, fillers, peels, and the latest microblading for your brows.